January 22, 2019 | Submitted by: CityScapes Inc. If you ask any green thumb, they’d tell you that gardening is good for the soul. Although there isn’t any empirical evidence of this, it’s tough to deny the benefits. If you’re in doubt, just google the health benefits of gardening. From stress relief and combating depression, to improved hand-eye coordination and a strengthened immune system, it’s easy to see why so many include gardening in their routine. The practice of gardening has no age limit or pre-qualification. It can be as simple as a potted plant on a stoop or as elegant as the project we recently completed. 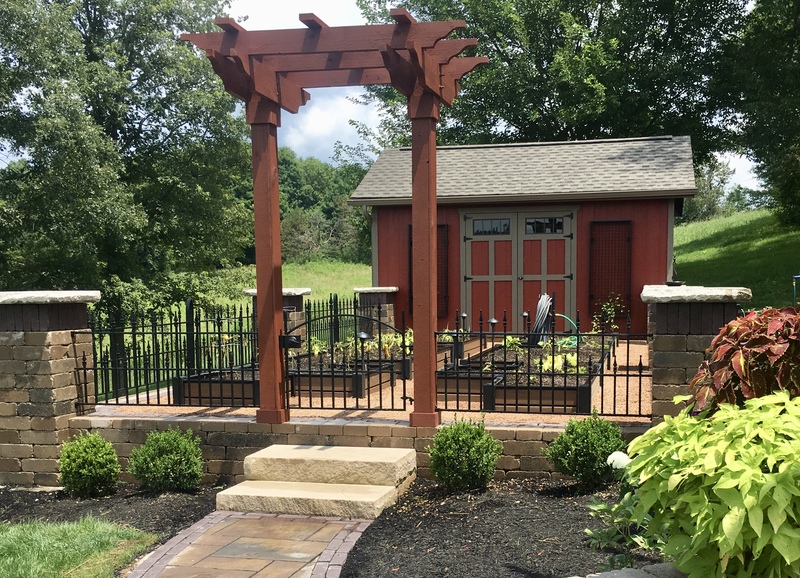 The homeowner of this beautiful garden customized our Planx Planters to have a classic English Garden feel, complete with a walkway and defined borders. The elegant potting shed anchors the garden and features our wall-mounted NatureScreen trellis product for the climbing plants that will complete the formal garden look. 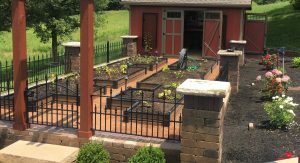 The client selected English Walnut Planx® and black frames for the raised beds and CityScapes green for the NatureScreen panels. The CityScapes team worked closely with the landscape architect on the design and are proud to be part of this project. We can’t wait to see the garden in full bloom this spring.